I have been seeing one piece romper for girls and women everywhere this year. I have been really wanting to make one for Harper. 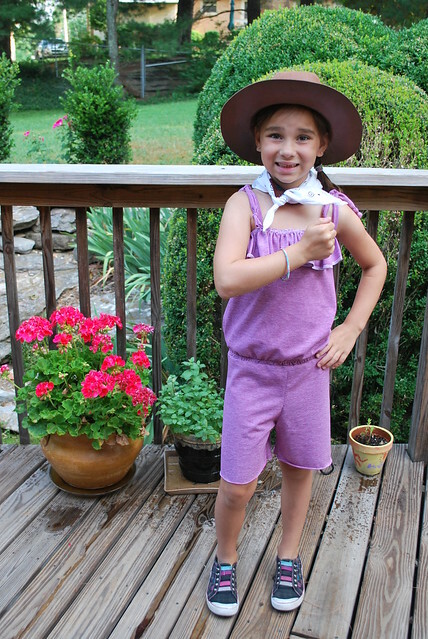 She was supposed to dress up like a farm girl today for camp, so I thought this romper would make a cute outfit. Since I was working on a serious deadline, I cut a few corners like not hemming the shorts. She did wear it today though so I guess it wasn't too bad. I used the tutorial from Crafterhours as a starting point. 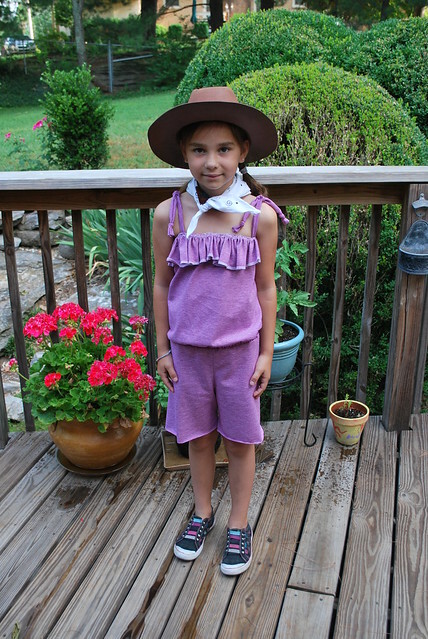 Instead of shirring the top I just used elastic around the top and added a ruffle. I only did two lines of shirring at the waist. It could probably use a couple more lines so I might go back and do that when I hem the shorts. It really came together pretty easily. I made notes on all of the measurements and things I would do differently so I can make another one. I think next time I might try an elastic waistband. That is really cute! 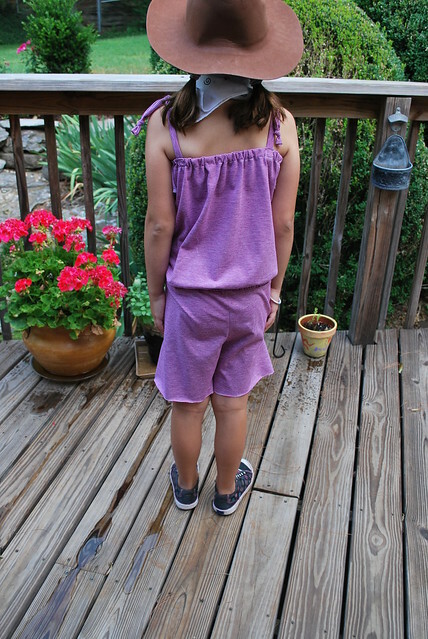 I have some more rompers on the docket for summer, too. If it comes, that is. Low 70's this week. My CSA is going to be 2 weeks behind on their delivery of our first box. It needs to warm up! The girls are dying for me to make them some rompers. (YES...I"m just getting back to your blog from days ago!!) Thanks so much for the link...I'm gonna sort fabric this afternoon and see if I can find some to use from my stash!